Before deciding to have rhinoplasty surgery there are a number of steps you will have to take. First, it is important that you inform yourself about the procedure and all it entails, including recovery, cost, potential complications and other factors. Your will also need to take the time to find a qualified surgeon to perform your procedure. And once you have located a surgeon you will need to follow his or her preoperative instructions closely, prior to the surgery. Read on to learn more about what to do before a rhinoplasty procedure. Details of the procedure. Rhinoplasty is a complex, invasive procedure that should be taken very seriously. Read about how the procedure is performed and what you need to do on your end to ensure positive results. Recovery. 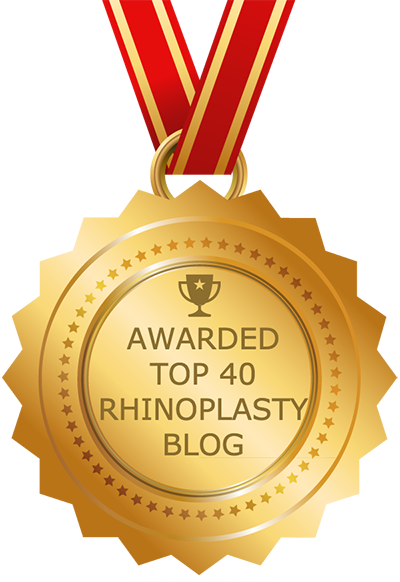 As with any surgery, recovery from rhinoplasty depends largely on individual circumstances. During the recovery period soreness and bruising are common, as is nausea. You will need someone to drive you home, and to monitor your temperature, because a high fever can be an indication of infection. Other things to read about include when you can return to everyday activities and what to avoid during recovery. Cost. The cost of rhinoplasty surgery varies depending on the complexity of the procedure, where the surgeon performing the procedure is located and how experienced the surgeon is. Cost should not be the primary consideration. If you feel that you cannot afford to have rhinoplasty, consider saving up for it or look into patient financing options, of which there are many. Complications. The overwhelming majority of rhinoplasty patients experience no complications or very minor ones. However, like any procedure, rhinoplasty does come with some risks, including complications from anesthesia, bleeding, reaction to medication, unexpected swelling and infection. And sometimes complications arise if the patient fails to follow the surgeon’s postoperative instructions. To avoid any unnecessary complications, patients should avoid the sun as well as any situations that may lead to trauma, and follow the postoperative instructions carefully. Looking for a rhinoplasty surgeon can be a confusing endeavor. A few different types of surgeons offer rhinoplasty, so it is important to understand which ones are most qualified. Knowing what to look for and what questions to ask is crucial. The first thing to do is narrow your search down to surgeons that are board-certified by the American Board of Facial Plastic and Reconstructive Surgery (ABFPRS). It’s a good idea to schedule a few consultations with different facial plastic surgeons; this will allow you to understand and compare various aspects. Your surgeon should have advanced knowledge of the external and internal structures of the nose. It is also important to make sure that the surgeon has hospital privileges, and that he or she performs at least one or more rhinoplasty procedure per week. Also be sure that you like the results you see in the surgeon’s gallery of before and after photos. He or she should have a track record of good results, and should have experience with complex rhinoplasty cases, including revision rhinoplasty cases. Another thing to look for is advanced equipment such as 3D technology, which can enhance precision and ensure less downtime. To ensure a successful result it is important that you actively participate in the process, and this depends in part on how closely you follow your surgeon’s preoperative instructions. Any qualified surgeon will recommend that you avoid smoking at all costs. Dr. Rizk also asks that his patients avoid blood thinners such as aspirin and Motrin as well as garlic, fish oil, St. Johns Wart and Gingko Biloba. Herbal teas should also be avoided, as should alcohol for 48 hours prior to and two weeks following surgery. Let your surgeon know if you are taking any over-the-counter or prescription medications or herbal supplements. Your surgeon might send you to have lab tests and/or additional medical assessment from other specialists. It is very important that patients with diabetes let their doctors know, because this can reduce blood circulation in the nose.